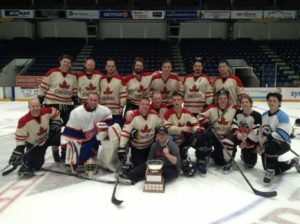 The 2016-2017 GARHL Season came to a close this week with Champions being crowned in both divisions. 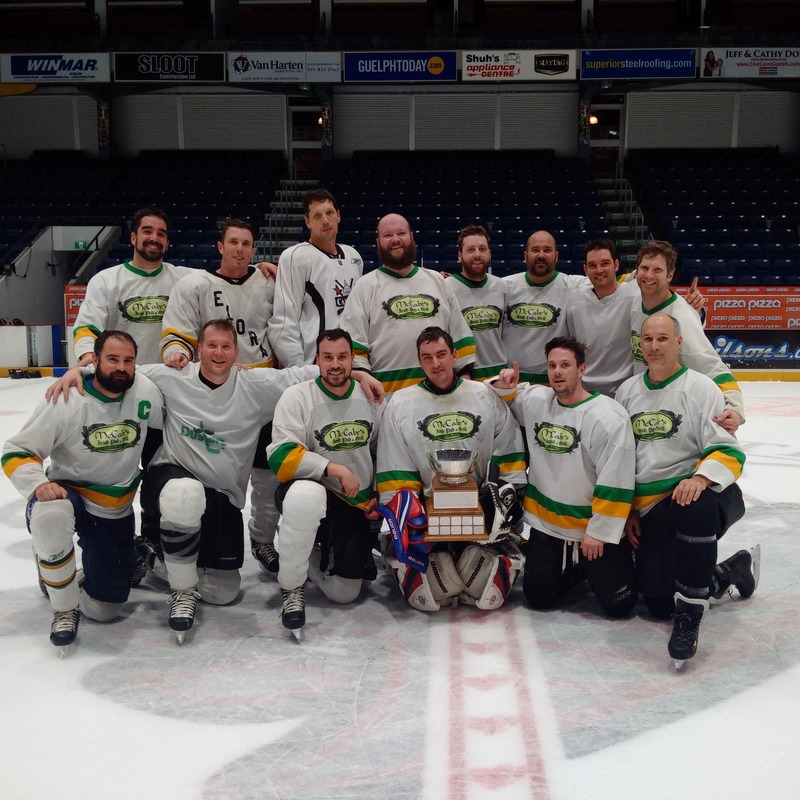 RU Serious kept their dynasty alive by winning their 5th GARHL Cup in the last seven seasons with a convincing sweep of defending champion, Shootin’ Blanks. RU’s won both games in convincing fashion, 5-1 and 4-1. RU’s was led by the deepest coaching staff in GARHL history, and by some excellent goaltending to reclaim their A Division Title. Craig Bowman Roofing made their first ever appearance in the GARHL Final and didn’t let their opportunity to win their first title elude them. Bowman won a hard fought game one, 1-0. 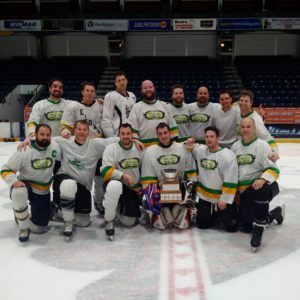 They then erased a 2-0 first period deficit in Game 2, to win 5-2 and capture their first GARHL Title. Bowman has been in the league since year one under other names (Slammers, McCabes) so the long wait for their fan base is finally over. The defeated a gritty and experience Billings team, who defeated the top seed Flames in the playoffs, in the final. Billings Orthodics stunned top seeded Flames with a two game sweep to advance to the B Division Finals. They await the winner of the Tim Hortons/Craig Bowman Roofing series which will be going the distance as Craig Bowman Roofing won game two 4-0. Game Three goes Monday night with the winner moving on to take on Billings in the B Final. The A Division Finals are all set as top seeded RU Serious booked their ticket to the finals with a 4-2 win Game Two win over Cavalry Contracting. Shootin’ Blanks and South End Maulers were deadlocked after regulation in Game Three of their Semi Final which then needed a shootout. Shootin’ Blanks scored on their first two attempts in the shootout and that would be all they needed to punch their ticket back to the A Finals where they look to defend their title. Semi Final action continues next Monday and Wednesday night at the Sleeman Centre. The 2016-2017 GARHL A Division Semi Finals are all set after two very entertaining Game 3’s on Monday night, which both needed shootouts to decide the winners. Bobby O’Briens pushed RU Serious to the limit as both teams were locked in a 1-1 game heading to the shootout. The shootout lasted 6 rounds but RU Serious managed to stave off the upset. Huber Window Cleaning erased a 3-1 deficit in the second period to force the shootout in the other first round matchup. Cavalry Contracting survived the late comeback in the shootout and will now take on RU Serious in the A Division Semi Finals. The #2 Ranked Shootin’ Blanks take on #3 South End Maulers in the other A Division Semi Final. Both Semi Finals begin on Wednesday night at the Sleeman Centre. In the B Division, the Flames disposed of Dawson Dental with a 5-0 Game two win. They will play either the OHL Experience or Billings in the Semi’s. The other B Semi Final will feature Tim Hortons vs Craig Bowman Roofing or Billings. Game 3 of Craig Bowman Roofing/OHL Experience series goes Wednesday night at the Sleeman Centre and that game will decide the B Semi Final Matchups. Some teams have already advanced to the GARHL Semi finals while some top seeds are being forced to go the distance in their first round playoff series. Here is a quick overview of the 2017 GARHL Playoffs so far. 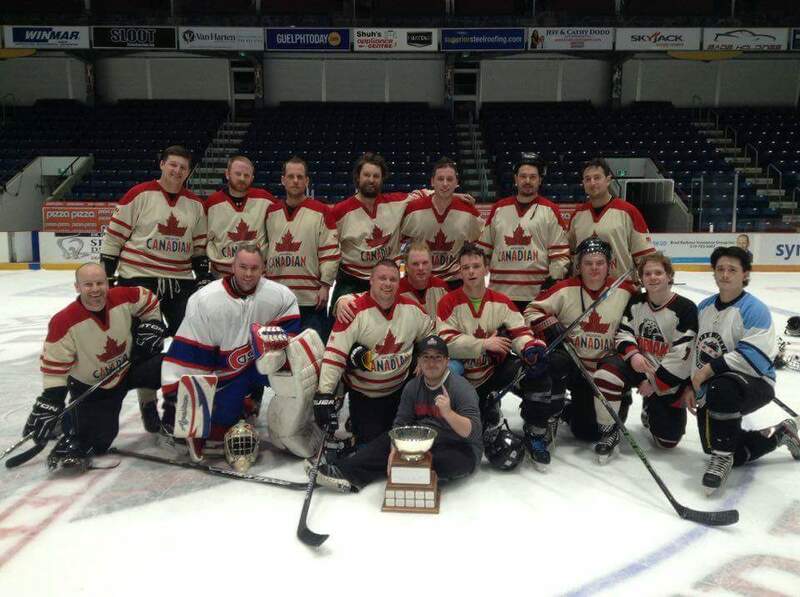 The South End Maulers defeated Wellington Brewery in two games to advance to the semi finals, while defending champion, Shootin’ Blanks, swept aside the Thirsty Canucks to also advance. Bobby O’Brien’s shutout top seeded RU Serious 2-0 in Game 2 to force a deciding Game 3 on Monday Night. Huber Window Cleaning needed the shootout to defeat Cavalry Contracting in Game 2 to also force a Game 3 Monday night. Top Seeded Flames will take on a resilient Dawson Dental team in Game 2 of their first round matchup on Monday. Second seed Tim Horton’s defeated Power Bus Way in two games to advance to the B Semi Finals. Billings proved too strong for the injury plagued Flying Hellfish as they swept them in the first round. Special teams were the story in the first two games of the OHL Experience and Craig Bowman Roofing Series as they go the distance on Wednesday night in Game 3.